Today I welcome crime writer Rick Helms. Richard Helms, a retired forensic psychologist, now teaches psychology at a college in North Carolina. He has been nominated three times for the PWA Shamus Award, four times for the SMFS Derringer Award, and once each for the MRI Macavity Award and the ITW Thriller Award. 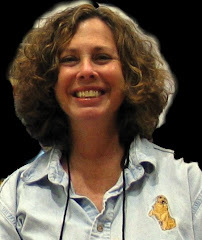 He is the only author ever to win the Derringer Award in two different categories in the same year (2008, for Paper Walls/Glass Houses, written as Eric Shane; and for The Gospel According to Gordon Black) He won the ITW Thriller Award for Best Short Story in 2011 for The Gods For Vengeance Cry. He is a former member of the MWA Board of Directors, and a former President of the Southeast Regional Chapter of MWA. 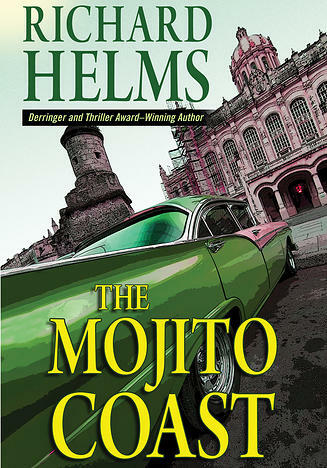 The Mojito Coast is his sixteenth novel. Richard Helms and his lovely and patient wife Elaine live—as he refers to it—Back In The Trees in a small North Carolina town somewhere between Charlotte and Havana. When I was in elementary school, a couple of jokers named Khrushchev and Castro hatched a plan to base ICBMs in Cuba, from which they could strike any point in the US in a matter of minutes. For two weeks in October 1962 everyone on the East Coast held their collective breath. Every siren sent hearts aflutter. Our TV had four channels, and you couldn’t watch for a half hour on any of them without a breathless special report breaking in to remind you that we were all separated from being glowing ashes by nothing more than the whimsy of a Cuban general. Each day in school began with ‘duck and cover’ exercises, because everyone knew that the only protection from a thermonuclear holocaust was the half-inch plywood tops of our desks. This was the beginning of my fascination with Cuba. While the crisis was long over by Thanksgiving, I’ve followed events in our neighbor in the Greater Antilles closely ever since. Now, over half a century later, I am amazed that feelings between our two countries remain as chilly as a jilted girlfriend’s glare, while we’ve normalized our diplomatic relations with every other country in the world. But this isn’t a political article. I mention the Cuban Missile Crisis and our ongoing antipathy toward a third world island nation only because it serves to explain, at least partly, why I decided to write a private eye novel set in pre-Castro Havana. Cuba prior to Castro may not have been much better off than it has been since the revolution. In the early 1950s. The Batista administration was described by Arthur Schlesinger, Jr.: "The corruption of the Government, the brutality of the police, the regime's indifference to the needs of the people for education, medical care, housing, for social justice and economic justice ... is an open invitation to revolution." What better setting for a detective thriller? From the time I started writing crime fiction, I knew I wanted to set a piece in pre-Castro Havana. In fact, for years I dreamt that I already had. I had a recurring dream in which I had written a private eye novel with a Cuban setting, but I had misplaced it. In my dream, it was a really cool book, but I couldn’t find my masterpiece anywhere. Then, one night in my dream, I found it. I dreamed that I sat down and began to read it, and—as happens in dreams—instead of reading it, I began to dream the actual story. That dream formed the foundation for the book that became The Mojito Coast. The plot synopsis is simple. Jaded Miami PI Cormac Loame is hired a few days before Christmas 1958 to find the daughter of former heavyweight punching bag Cecil “The Madman” Hacker, who has become a wealthy money launderer for the Santo Trafficante mob. Hacker’s fourteen-year-old daughter Lila has run off to Havana with one of Hacker’s bodyguards, another ex-fighter named Danny McCarl. Loame hasn’t been to Cuba since 1952, when he fled the island with a possible murder rap riding his shoulders, leaving behind a beautiful woman named Marisol. Back in Cuba, he discovers that Marisol has married one of his rivals, a sugar baron who is now one of Batista’s closest advisors. Castro and Che are carving their way across the island, and the end of the revolution is scant days away. This is the chaotic world in which Loame must find the girl, resume his love affair with Marisol, and somehow escape with all their lives. Writing this book was a wonderful experience. The background research alone comprised over a hundred pages, culled from reminiscences posted online by Cuban ex-pats and Americans who lived through this turbulent period. I read Guillermo Cabrera Infante’s Three Trapped Tigers, a novel that focuses on the convoluted world of pre-Castro Havana cabaret life. I downloaded and posted maps of Havana in my office, so that Cormac Loame could navigate his way around the city without making too many stupid errors. I created an Afro-Cuban channel on Pandora, so that I could listen to music by people like Tito Puente, Ibrahim Ferrer, and Tumba Palo Concuye as I wrote, just to set the mood. I learned all I could about the game of jai alai, and—since I am a huge food enthusiast and gourmet cook—I learned to make a mean ropa vieja with saffron rice and fried plantains, one of the traditional dishes in Cuba. I even learned how to make a mojito from scratch, and discovered that I absolutely hate them. Give me a decent margarita or caiparinha any day! Far and away, though, my favorite part of the preparation for this book was the opportunity to delve into the life of Ernest Hemingway. Initially, I wrote him in as a cameo in an early scene in the El Floridita bar. I didn’t even identify him by name, presuming that my description would be enough for ‘the right people’ to recognize him. As the book went on, his role grew and grew, until he and his beloved boat Pilar became central to the plot. I read Paul Hendrickson’s amazing biography Hemingway’s Boat from cover to cover to gain insight into Hemingway’s decline into dementia over the last decade of his life. In late 1958, Hemingway was already beginning to lose it. As a professional psychologist, I’m very familiar with the symptoms and behaviors associated with dementia, and one of the things I wanted to portray in this book was Hemingway trying desperately—and frequently failing—to cling to his memories, and his desire to ride out just one more insurrection that he might use to pen just one more masterpiece. In the end, I think Hemingway comes off as a sympathetic character in this book. One of my favorite scenes involves Hemingway and Loame taking off on Pilar for a marlin fishing expedition early on Christmas morning. Their conversation out on the Caribbean reveals a great deal about both their characters, and allows Hemingway to enjoy a brief period of clarity as he analyses Loame’s motives. The Mojito Coast isn’t a long book. It makes for a quick read, just the perfect length for a day at the beach or a cross-country airplane ride. So far, I’ve been very gratified at the readers’ responses to it, and I’m excited to see how the book fares when it comes out on July 17th! Buy the book, folks. I’m running out of relatives! Sounds unique and interesting. I just pre-ordered it.